AUGUSTA, GA – Dr. Ja’net Bishop, Principal of the Columbia County Alternative School, has been appointed as a Board Member of the National Alternative Education Association (NAEA) for 2015-2017. Bishop is a 1998 graduate of the Georgia Regents University (soon to be Augusta University) College of Education Ed.S. program, and has dedicated 20 years to education. 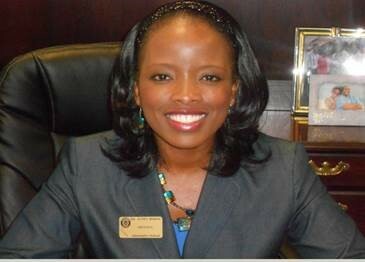 Under her leadership, CCAS has been recognized as a 2013 Spotlight School by NAEA; 2014 Second Place Winner of NAEA Student Video Contest; 2015 First Place Winner of the NAEA Student Video Contest; and in September was one of four Georgia Schools recognized as a 2015 Spotlight School by the Georgia Association of Alternative Education (GAAE). Bishop has presented at state and national conferences on topics pertaining to leadership, culture and climate.